This site has been constructed to assist casino players looking for general mobile phone casino information and playing options, including apple iPhone. You will need a WAP enabled handset. This includes almost all phones currently on the market, and most sold over the last two years. For more details visit our compatible handsets page. For players with Android powered handsets, a bunch of casinos now have their game available for direct download from the Android Market. Wild Jack Mobile's games are a recent addition. 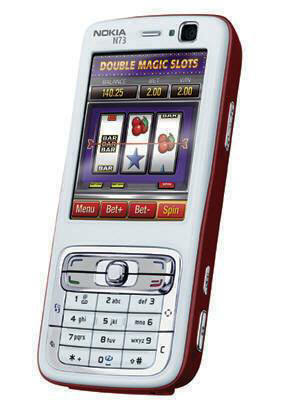 Only a handful of casinos currently offer mobile casino games. Notably, licensee casinos of leading casino software developers Microgaming and Playtech seem to be leading the the way. Learn about these casinos and their offerings at our mobile casinos page. Which mobile casinos? What games? Find out at our iPhone casinos page. Here are some great free cash deals for first time players at these mobile casinos.